Bill wants to test the fluoride level in his water before it goes into his water filter. As awe have said time and time again, without a baseline scan of your water’s quality you will undoubtedly run the risk of selecting the incorrect tools for cleaning up your water. Then, Bill wants to test the fluoride levels in the water after it leaves his water filter to make sure the filter did its job. Continual monitoring of one’s filtered water quality gives real-time performance data on one’s chosen water improvement device(s). 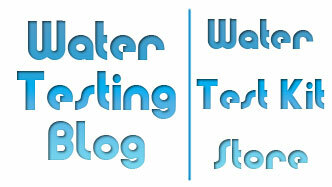 None of us here at Water Testing Blog have control over the content posted on the sites of merchants who sell the eXact Micro 7+ water testing meter… but we can assure you that the meter does have the ability to test for fluoride in drinking water. As a direct result of your inquiry, Bill, we checked on the meter manufacturer’s web site for the current version of the eXact Micro 7+ water testing meter manual and on page 19 of the document you will find instructions on how to use their meter to test fluoride levels in drinking water. As of 8/17/11, the date contained in the manual’s file name, the eXact Micro 7+ detects levels of fluoride in water as low as 0.1 ppm and as high as 1.1 ppm. As with any test procedure, use of proper dilution techniques would allow for the quantification of higher fluoride levels if needed. Keep in mind, though, that the basic eXact Micro 7+ kit does not come with the necessary fluoride reagent strips. You will find those, along with many other optional reagentstrips for testing a bunch of other water quality parameters listed on the eXact Micro 7+ ReagentStrip page. Today we received an inquiry from ‘Tom’ who wanted to know more about, we assume, the eXact Micro 7+ Meter’s fluoride testing ability. Want to use to determine if a water sample has flouride and is likely city water vs ground water. Site lists lots of chemicals but steers away from Flouride. What is the range of flouride the instrument will detect? Will the presence of other chemicals associated with drinking water efect result? How often is calibration needed and can user complete cal? With all of the publicity that fluoride in drinking water has gotten over the years it does not surprise us that we keep getting questions about fluoride in drinking water, its effects on people’s health and how to test for it in drinking water. Until a few years ago fluoride in water testing required ‘sophisticated’ laboratory glassware and used chemical reagents not readily available to the public. Either that or you needed very expensive laboratory grade equipment and a degree in chemistry to operate it. 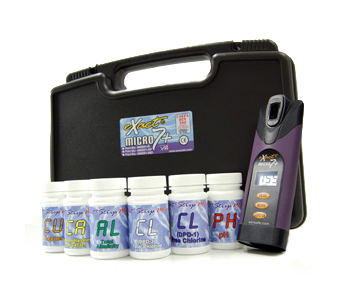 Now, however, companies like Industrial Test Systems, Inc., a US based manufacturer of water quality testing products have come out with hand held meters like the eXact Micro 7+ Water Testing Meter which uses proven SPADNS chemistry to detect levels of fluoride between 0.1 ppm and 1.1 ppm. See page 18 of the eXact Micro 7+ Meter’s Manual for more information or call the meter’s manufacturer at 1-800-861-9712. How much fluoride does tap water contain? We would guess that most municipal water supplies fall somewhere in the range specified by the World Health Organization. 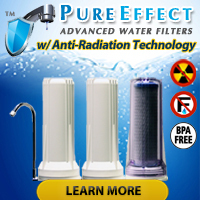 Does the eXact Micro 7+ Meter Test for Fluoride? It looks like your Tester will test for Fluoride but on the actual page it doesn’t say that it Does? I specifically want a Device that measure Fluoride levels. Do you have this or does this 199$ machine do this? In that entry we mentioned that the eXact Micro 7+ Water Testing Meter has the ability to test for a number of things… including fluoride. The kit, as sold, does not come with the reagents (Hach SPADNS replacements, to be exact!) to test for fluoride, but you can get them on the meter manufacturer’s web site: www.sensafe.com. Click on the word ‘fluoride’ in the list and it will take you to the exact (no pun intended) place on their site where you can order the product you need for approximately $13. For instruction on how to use the meter for fluoride testing, please refer to page 18 of the eXact Micro 7+ Meter User’s Manual. Despite USEPA rulings that municipal (city) water systems must keep fluoride levels in drinking water under 4 ppm (parts per million) and arsenic levels in drinking water under 10 ppm some smaller communities have not yet come into compliance. Newdale is facing drinking water quality issues because of arsenic and fluoride levels in the water supply that do not meet U.S. Environmental Protection Agency water quality standards. Testing over the past several years showed average arsenic levels at 10.8 parts per billion, and the level has been as high as 15 parts per billion. The city’s level of fluoride in the water supply has consistently averaged about 4.8 parts per million over the last several years. Efforts to remedy the solution have begun in Newdale and many other areas but the fact remains that many people still consume levels of fluoride and arsenic considered dangerous by health officials. People living in smaller communities served by older water systems and well ought to consider testing their water periodically for things such as bacteria, arsenic and other critical water parameters. Smaller towns have smaller budgets and remediation for arsenic costs a lot of money. Sometimes a lot more money than a small town can afford. Thankfully, though, State and Federal agencies across the country have recognized smaller communities’ needs for assistance when it comes to cleaning up their drinking water and made funding available for that purpose. To take advantage of an offer of loan money from the state of Idaho with federal stimulus funds, the Newdale City Council voted on June 24 to see if the project could be approved through judicial confirmation, a quicker process than a bond election. As usual, we suggest that anyone suspecting life-threatening drinking water contamination have their water tested by a certifed water testing laboratory. For routine testing, though, one can use at-home drinking water test kits such as the Water Quality Test Kit or the WaterSafe All-In-One Test Kit.